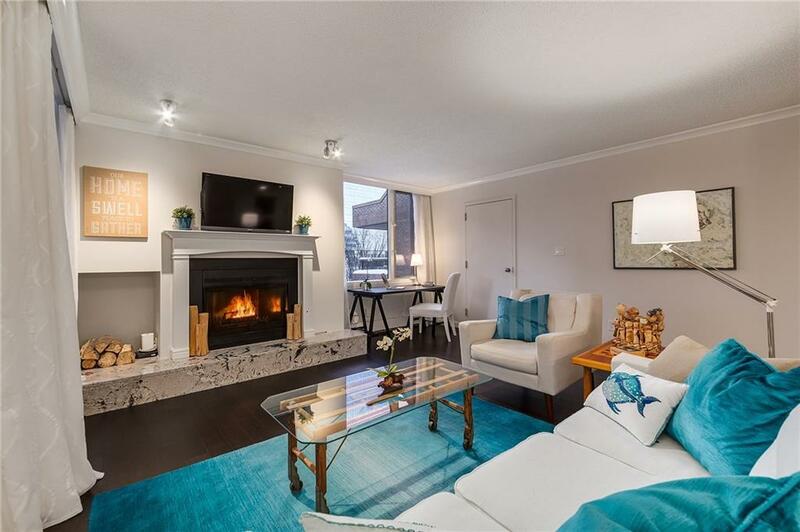 Beautifully renovated 2 bdrm suite w/outdoor space has all the features youre looking for. 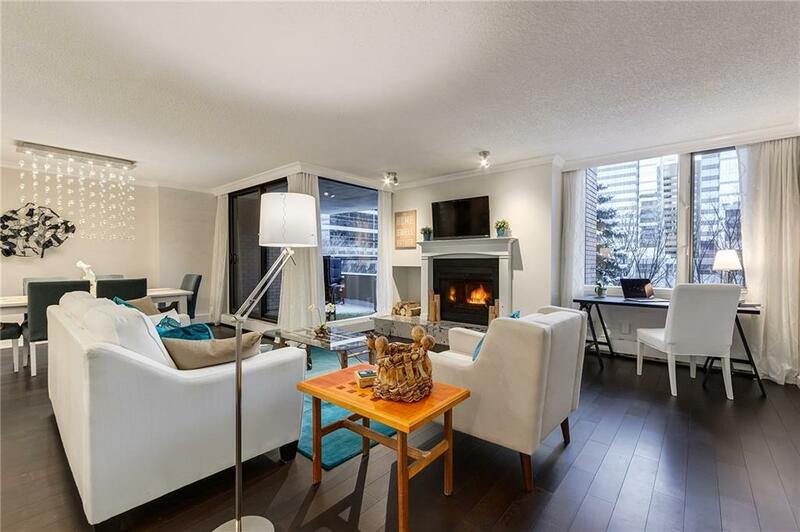 Contemporary & Modern design elements combine to create your perfect inner-city lifestyle suite. Updates incl. wide-plank hardwood floors throughout, lovely wood-burning (w/gas assist) f/p in living rm w/custom mantle & hearth, designer light fixtures (LED) & custom draperies throughout. Open floor plan is lovely, offering excellent daylight through large windows. Huge executive kitchen w/centre island, granite countertops, walnut slab breakfast bar, chef-worthy kitchen appliances & many thoughtful storage additions. Luxurious spa-like master ensuite bath w/granite counters & stylish soaker tub, 2nd full bath w/large shower. 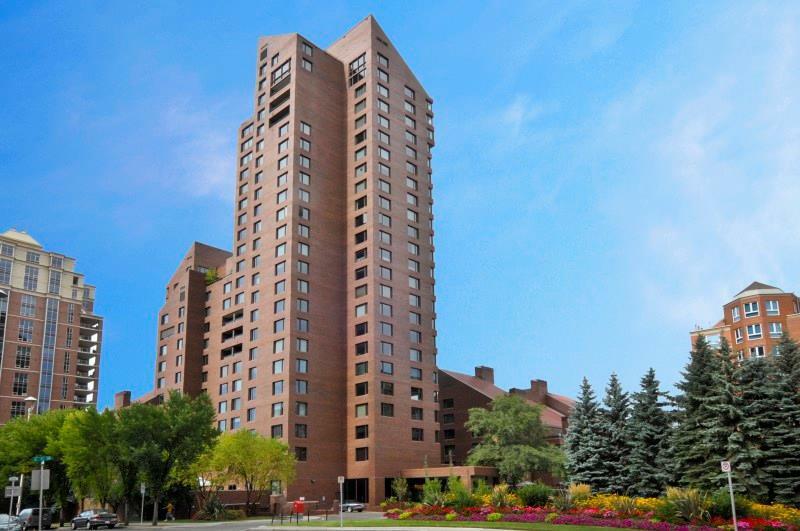 Building offers 24 hr security/concierge, fitness facility, indoor pool, carwash + many more features. 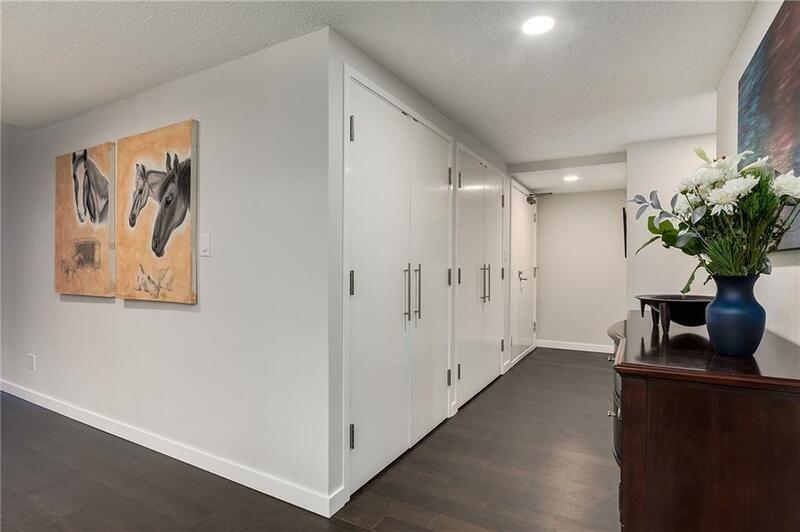 Superb location beside Bow River & pathways, Princes Island Park, steps to +15 indoor walkway network. Nature & convenience are yours to discover in one package!